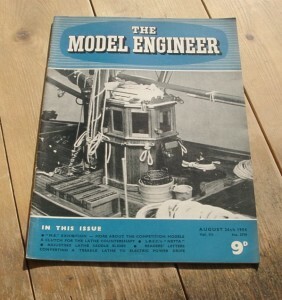 August 26th 1954 Edition of the British Magazine, Model Engineer. This issue has articles on a clutch for the lathe countershaft, adjusting lathe saddle slides, converting a treadle lathe to electric power drive and notable model I.C. engines – the Jensen C.I. special.